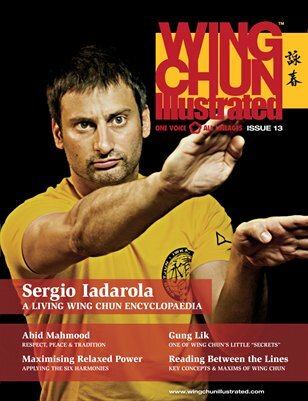 Issue 13 of WCI features Sifu Sergio Iadarola on the cover. Is there such a thing as authentic Wing Chun? Is the Ip Man Wing Chu system a personalised system made up from several different lineages? Have you ever wondered what it takes to seek out and find some of these more obscure lineages? Travel around the world with Sifu Sergio Iadarola as he takes you on a Wing Chun journey to discover the origins of the system; including stories from the Ip Man, Yuen Kay Say and Gulao lineages. From Amsterdam to Israel, China and throughout Asia, Sifu Sergio is a living and breathing Wing Chun encyclopaedia. For a complete table of contents, please visit our website.